Click Here to see our entire line of Epson and Canon Cleaning Cartridges - These cartridges are filled with cleaning solution instead of ink and are great for cleaning your clogged printheads. Canon Chip Resetter - $19.95 - A requirement to reset Canon PGI-5 and CLI-8 cartridges to a 'full' status after refilling. Read More Here. Epson Chip Resetter - $24.95 - A requirement if your Epson cartridge has a 'smart' chip. Read More Here. Hole Burning Tool - $6.95- This is used to burn a hole in a toner cartridge so it can be refilled. This operates with 110 volts. Clog-Busting Plastic Needle - $.65 - This tapered plastic needle fits on our syringes. It will form an airtight seal with the fill hole on an ink cartridge allowing you to pressurize the cartridge. The pressure forces ink through the printhead which helps to remove clogs in the printhead. 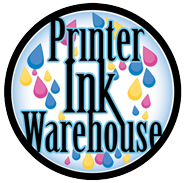 Short (1.5") Needle - $.50 - Our regular size blunt needle used to inject ink into most cartridges. Long (3.5") Needle - $1.50 - Our extra long blunt needle used to inject ink into deep color cartridges. Canon Set Screws - $1.00 for 5 screws - used to seal some Canon cartridges. Canon Allen Wrench - $1.00- Used for tightening Canon set screws. Red HP Plug - $1.00 for 5 plugs - Used on Apple M5658, HP 51640, 51644, 51645, 51650, C6615 cartridges. HP Rubber Balls - $1.00 for 4 balls - Used in the HP 10 and 11 cartridges. Aluminum Tape - $1.00 - A six inch strip of our aluminum tape. Great for sealing fill holes.